This is Abigail. A talented young woman who is spreading her wings and learning to fly. She’s a singer and musician who plays the piano, upright bass, electric bass, ukulele, drums and sax. She’s also a phenomenal ballet dancer and all-around nice kid. She just celebrated her twelfth birthday on the day this portrait was taken. I created this image for Project 52: Assignment 52 (yes, the last one of my second year!). I wasn’t sure how it was going to turn out. In fact, I almost nixed it at the last minute because I didn’t think I’d make the deadline. But I’m happy I stuck with it. 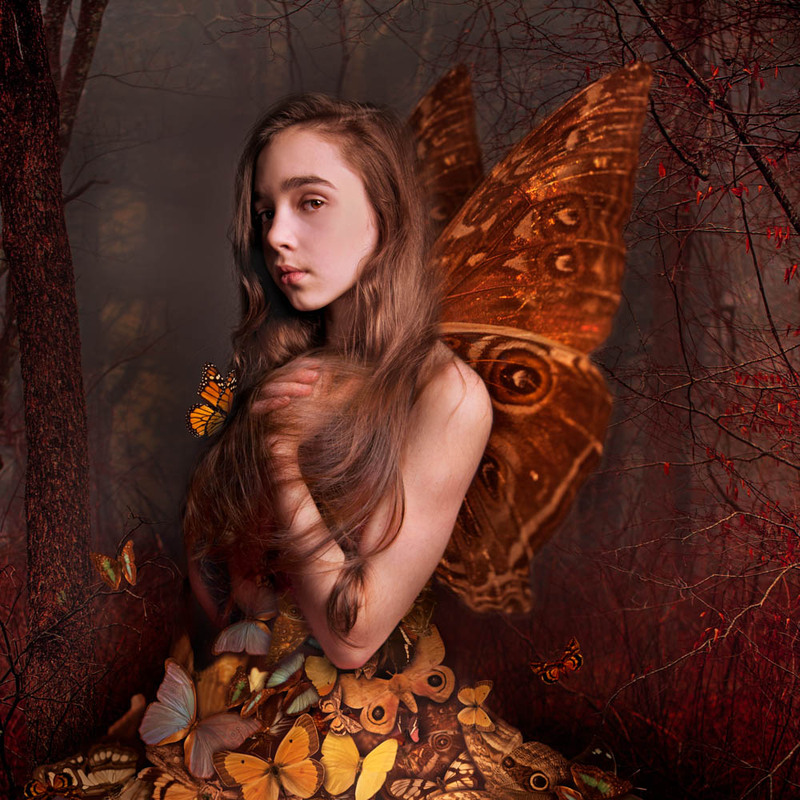 I got the inspiration while watching Miss Aniela, a surreal fashion photographer, on CreativeLive recently. She often uses photos of taxidermy animals in her composites. Here’s her website. The technical info: One beauty dish on camera right, pointing down. 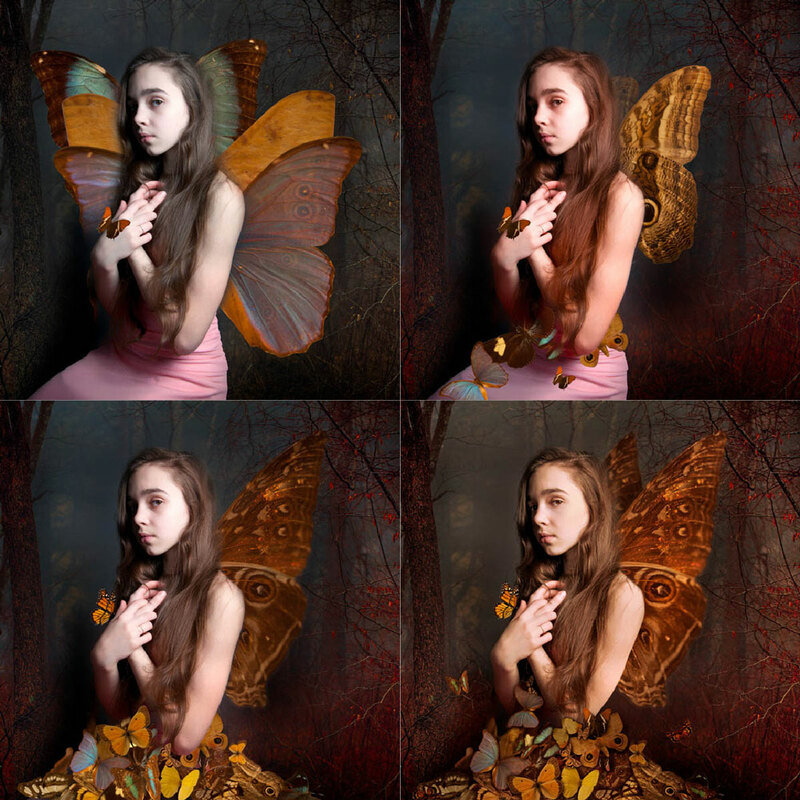 All but one of the butterfly photos were taken at the Yale Peabody Museum in New Haven, CT. The monarch on Abby’s hand was courtesy of Sandy Connolly’s personal insect collection. Thanks Sandy! Below are the stages of the images. At the very end, I swapped out the hands and arm with another version where her hands are wrapped in her hair, which reminded me of a cocoon. Wonderful,and the switch to hands in hair was inspired! Thanks OC!! We’ll get you a print asap. Digital image would be cheaper and easier, unless you don’t want to let it go in that format. I’ll take anything I can get. I think Sandy’s on it!